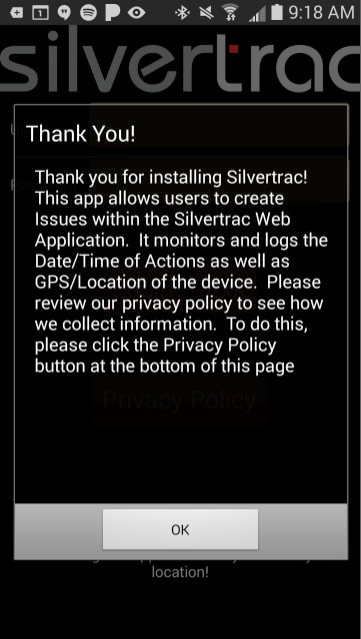 App Permissions required to use Silvertrac and what Silvertrac does with that information. Silvertrac's mobile applications require certain permission settings on both Android and Apple phones. 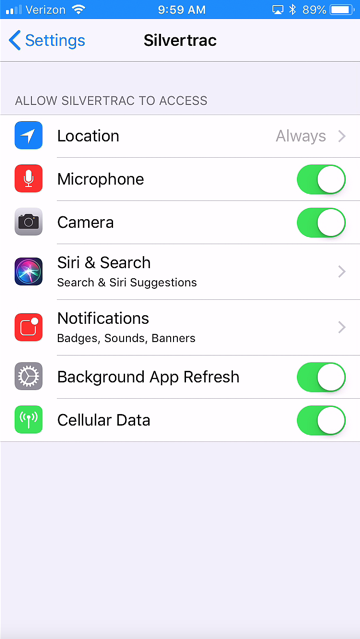 In this article we'll explain a few of those permission requirements and detail what the apps do with the information we have access to. 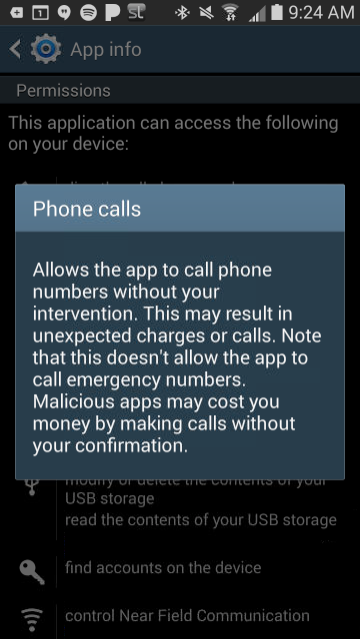 When users first login on an android device they are prompted with the following message. 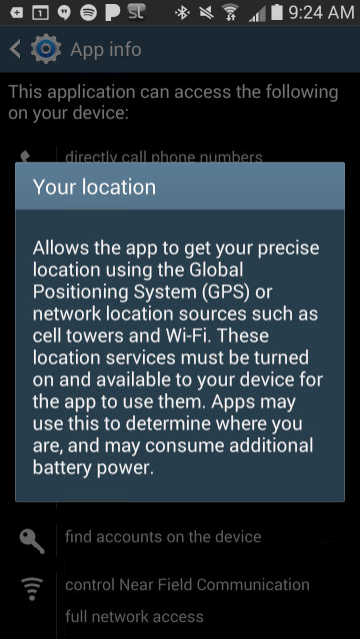 This Silvertrac mobile application is designed to ONLY work with the GPS location services turned on, unless those setting are changed by a System Admin. In order to log in and use the Silvertrac application the GPS location services MUST be enabled. If you do not approve you may use the standard uninstall processes as may be available as part of your mobile device or via the mobile application marketplace or network. System administrators have the ability to provide contacts mobile app users can access when they are logged in to Silvertrac. This allows users to make direct contact with supervisors or emergency contacts when the need arises. Silvertrac does require the mobile app user to provide access to call from the mobile phone. We do not have access to the call log or history and Silvertrac will not make calls from the device unless the action is prompted and confirmed by the user. Finally, Silvertrac requires access the Camera and Microphone so users can include pictures and audio files with their reports. Silvertrac will not access the mic or camera unless the action is prompted and confirmed by the user.